It’s that time of the year again. Pumpkins are everywhere, just as colourful and nearly as plentiful as the fallen leaves of autumn. However, unlike the leaves, old pumpkins can leave you with a bit of a headache when the time comes to retire them for the season. The good news, is that you can repurpose this squash cultivar as a valuable part of your indoor and outdoor learning curriculum. In addition, by getting the most out of your old pumpkins, you help minimize food waste which is a growing problem in Canada that your kids will want to know more about. Let’s find out what you and your kids can do together to use every scrap from your local pumpkin patch. Some of your pumpkins have already had their innards removed for decorative purposes or prior to making pumpkin pie (yum!). For those that remain full, you will want to remove the innards and set aside the seeds (more on this below). Long story short, when preparing to compost, you need empty pumpkins. This is where things get really fun for kids. It’s optimal to cut up or smash pumpkins into smaller pieces to accelerate the rate of composting. You heard that right…smash pumpkins. Try to find a kid or classroom that doesn’t get super excited about that prospect! Whether you use the school/yard shed sledgehammer (carefully) or find a safe high point (balcony, etc.) to drop the pumpkins off of, let the kids destroy the pumpkins until their hearts are content and collect the goo in a pail for the next step. The pumpkin remains can be simply placed in your local compost bin OR you can have your kids dig a hole in your backyard, school, or community garden bed and add the pumpkin bits. Once done, replace the soil and let Mother Nature do her thing through the winter season. Some of the pumpkin can also be used as topsoil mulch and covered with leaves to help retain soil moisture. Select the largest, healthiest, and deepest orange pumpkins as they will provide seeds that deliver the same for the next harvest (all things equal). Remove the seeds and proceed to wash and rinse (not soak) them in lukewarm water. Drain and sift the seeds in a strainer until all water has been expelled. Spread the seeds out on a screen and turn them frequently for the first two or three days. Place the seeds in a cool, dry space for at least three weeks so that they can air dry. Once ready, follow these tips for safely storing your seeds so that they’ll be ready for planting come the season. Read on below. Optimal soil temperature for pumpkin growth is approximately 18 Celsius, so you’ll need to keep the seeds in short term storage until the spring season here in Canada (contingent upon region). If your kids are excited to get the ball (pumpkin) rolling, you can grow the pumpkins indoors for up to three weeks before the last frost in our locale, and then move them outdoors. Given that pumpkin growth takes up a lot of space, you’ll want to section out a garden/farm plot of up to 10-20 square feet for each plant. That can give your kids/class plenty to plan and do while the seeds sit in short term storage. 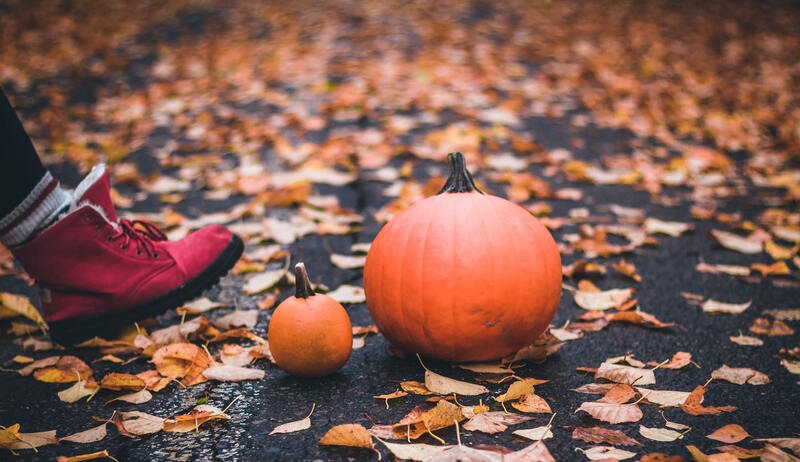 In anticipation, reference this Farmer’s Almanac guide to growing pumpkins with your children and you’ll be on the way to having your very own pumpkin patch come next harvest! While a portion of your seeds will spring into action come the spring season, set some aside to teach children about long-term seed preservation, which essentially follows the same process addressed above. However, when it comes to keeping kids engaged, the act of stuffing seeds in a bag, envelope or jar and tucking them away in a cool dry place can be little dry in itself, especially when there is no near-future pay-off. But fret not, because you can help make this activity fun. 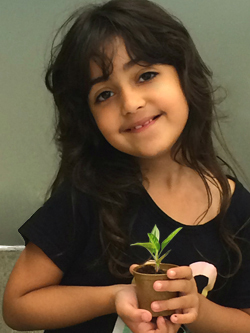 Our Foundation has provided a guide with engaging seed storage ideas for kids which institutes an arts and crafts element. This will have them wanting to repeat the process for all other salvaged seeds from their local community or school garden. You and your kids can set aside some seeds for drying, roasting, and tasty consumption on their own, or on a salad. During snack time deliver a brief lesson detailing their nutritional contents and the corresponding health benefits. We hope your kids enjoy making the most out of their retired pumpkins, while gaining some valuable knowledge and skills in the process. Learn more about of our Foundation’s funded programs and causes. If you have any questions, or would like to find out how you can get involved, contact the Plant a Seed & See What Grows Foundation.